There’s nothing quite like fresh seafood for the warmer months. This bold salmon fillet is just the thing to support a big bold pesto infused side. Simplicity never tasted quite so delicious. Preheat the oven to 200ºC/180ºC fan-forced. 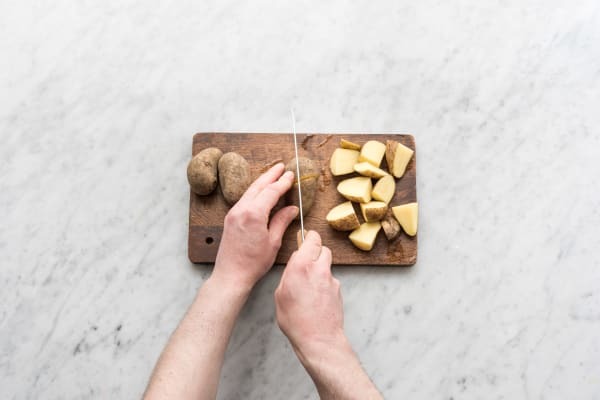 To prepare the ingredients, wash the potatoes well and chop them into 3 cm chunks. Wash the baby spinach leaves. 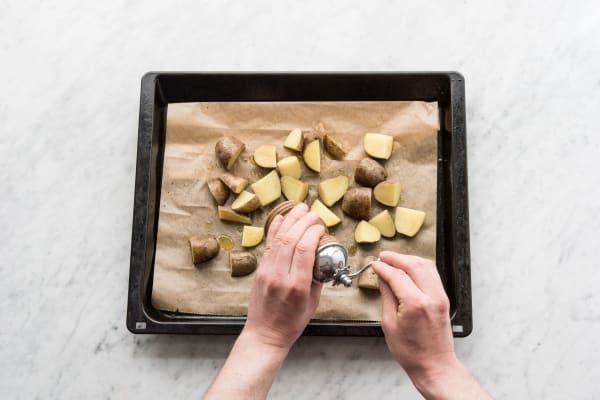 Place the potato on a lined oven tray and toss in the olive oil. Season with salt and pepper and roast in the oven for 40-45 minutes or until tender and golden. 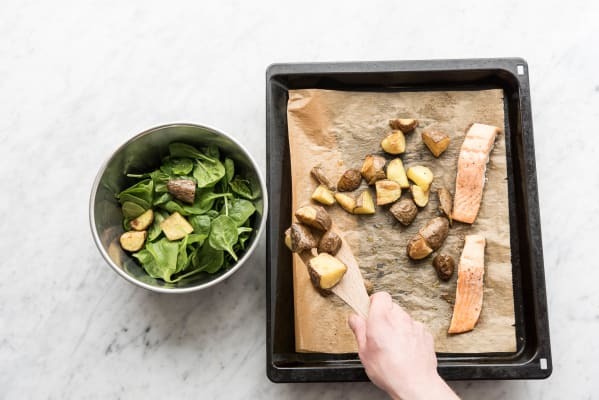 Place the salmon fillets on the a second lined oven tray and season with salt and pepper. Add to the oven for the last 10-12 minutes of the potato cooking time or until cooked to your liking. Please note cooking times may vary slightly depending on your oven. 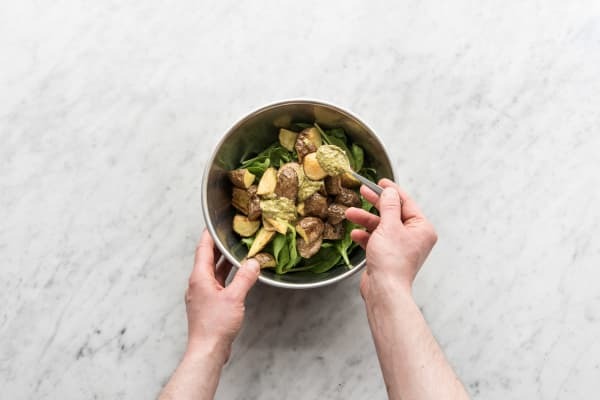 Transfer the hot potato to a bowl and add the baby spinach leaves. Toss so that the hot potato begins to wilt the baby spinach slightly. Add the traditional pesto and toss to coat well. Season to taste with salt and pepper. 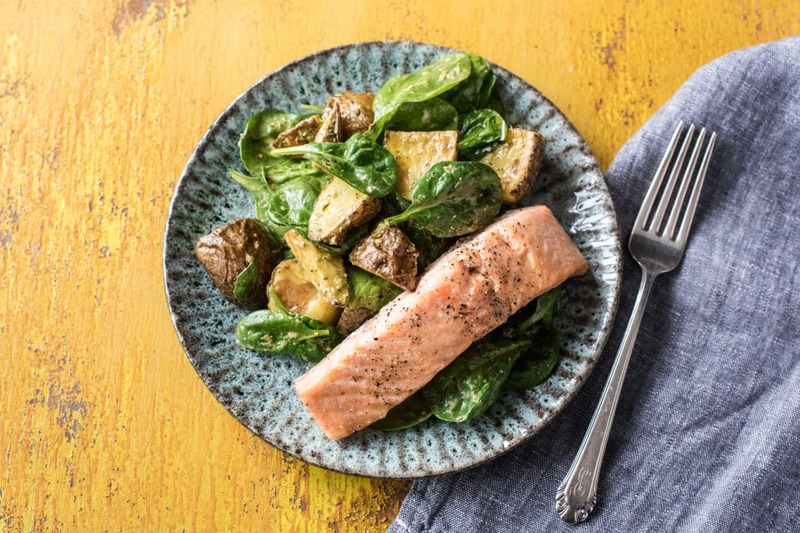 To serve, divide the pesto potato salad and baked salmon between plates.